Oral hygiene is not limited to brushing and flossing twice daily. It’s an all-round approach that involves watching what you eat, going for routine dental examinations, getting your teeth professionally cleaned and treating minor tooth problems. If you neglect your teeth, you will have excessive tartar formation, which could lead to bacterial infections, gum disorders, deep cavities and in some cases an increased risk of developing cancer. The next time you look at yourself in the mirror, take a good look at your teeth and visit your dentist if you see early signs of decay or plaque build-up. In the meantime, here are some steps you can take. With the availability of numerous manual and electric toothbrushes, you’re really spoiled for choice. Some electric brushes also come with settings that allow you to choose the right amount of pressure and speed that works for you. Be careful to avoid excessive brushing though as this does more harm than good; it tears away your gum tissue and leads to bleeding. Nylon bristles with blunt tips are ideal for those suffering from tooth sensitivity. Also floss away particles that hide in the gaps between your teeth. If you don’t like the traditional cord, use water floss instead. If food starts to get stuck inside your teeth, you might have a small hole or cavity in the enamel. Getting this fixed on time is crucial because it could prevent you from having to undergo expensive and time-consuming root canal treatments. If your teeth also become sensitive to hot or cold temperatures, take a trip to the dentist to find out the underlying cause. It just may be a sign of tooth decay. Bear in mind that painful gums, swelling and inflammation are indicators of dental problems. Don’t ignore these symptoms or treat them with over the counter medicines before having your mouth examined. If you have eaten very sweet and sticky foods like dates or sweets, brush your teeth and use a mouthwash or salt water to rinse the mouth. Sweet sticky foods erode the enamel and speed up tooth decay. 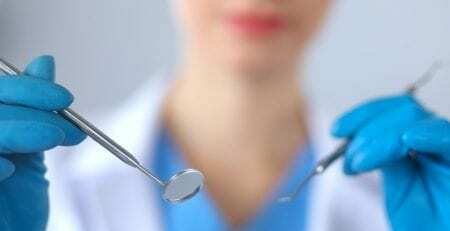 Dentists recommend professional teeth cleaning twice a year. This removes tartar build-up and helps the dentist asses your overall oral health. 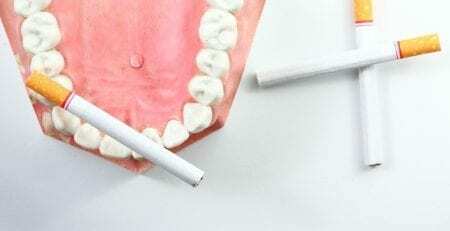 If you fail to remove tartar, your teeth will trap plenty of bacteria which will ultimately enter your bloodstream, causing you other health problems. For a thorough clean and polish, visit Blue Tooth Dental in Newtown, Sydney. We clean your teeth, leaving them looking spotless. We offer high-quality general and preventive dentistry for a host of dental problems. Whether you’re after mouth guards for your child, root canals, crowns or wisdom teeth removal, we assure you of high-quality dental care at our modern practice. Dr. Simon Briggs, our visiting dental surgeon, performs wisdom tooth removal surgery right here at our office. We offer cosmetic dentistry, tooth filling, tooth replacement, dental implants, and professional teeth whitening in Newtown at really low prices. Blue Tooth Dental also specialises in children’s dentistry. So if you’re searching for experienced dentists, give us a call on 02 9519 2691. Alternatively, visit us online to learn more about our services and offers on dental in Newtown.